OYO 616 Goregaon Exhibition Centre (BCEC) is located strategically in Mumbai to offer you the best services and comfort at affordable rates. The well trained and friendly staff of OYO maintains the property and ensures your stay is smooth. 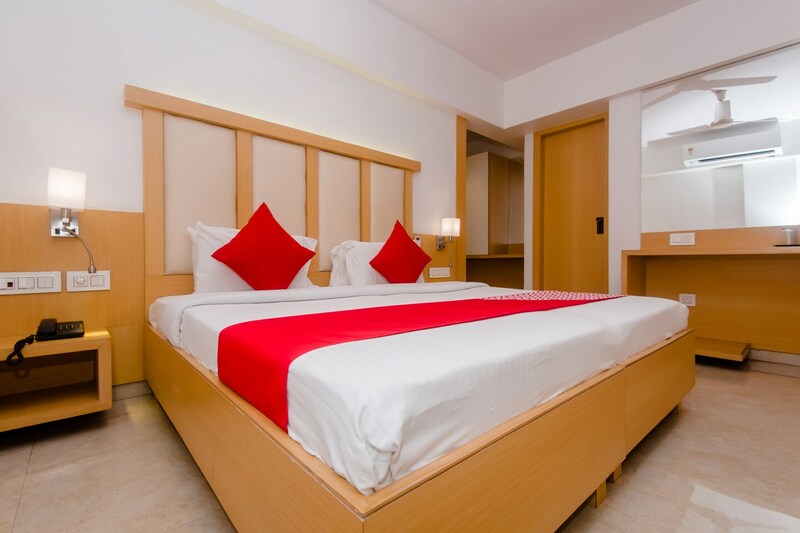 Our rooms are tastefully furnished and offer amenities like AC, Mini Fridge and a lot more. Take a tour of the Mumbai and explore key attractions like Twin Tower, Yogeshwari Temple and Madh Fort. Out of Cash? There is HDFC Bank, Bank of Baroda and State Bank ATM in close vicinity to the property.